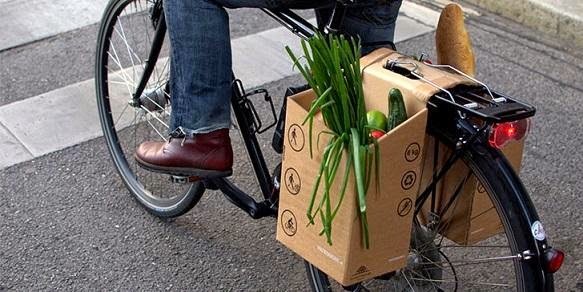 In many urban landscapes, cycling is often the best way to go for shopping. 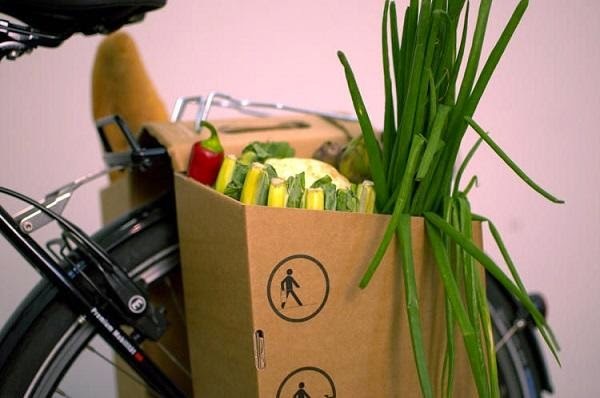 cardboard cargo carrier is a great solution for shopping. 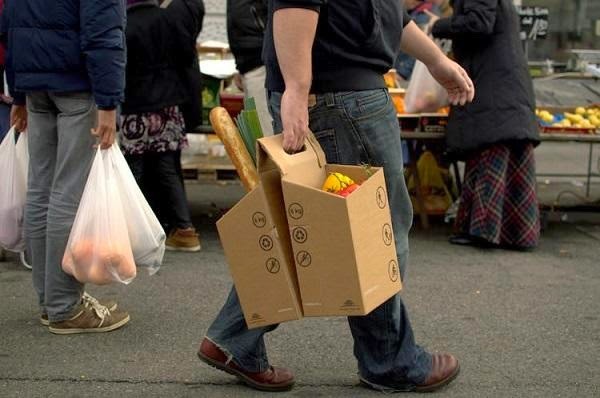 Instead of typical plastic bags. It’s cheap, recyclable, biodegradable as well as good for your health too. 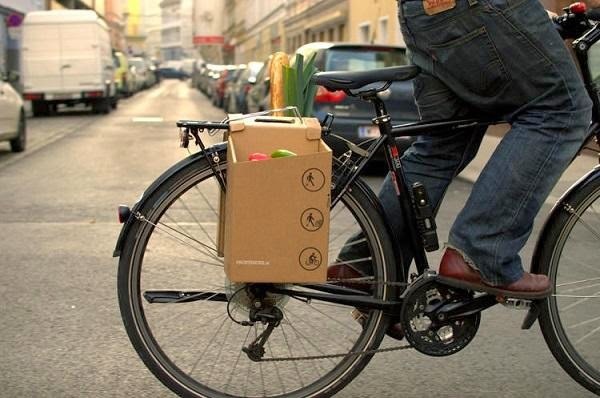 This idea has led two German students of architecture to develop this Packtasche( carry bag made out of cheap carton), a set of cardboard baskets that can be folded up in seconds, for purchases with a comfortable handle and a belt to tie up on a bicycle. Pros: Carton = cheap, strong, recycling and biodegradable. Check out this Cardboard school bag..
Coca-Cola Glass Bottle illusion Ad for its 100th anniversary celebration..
[Interesting engineering] Fingerprint locker for home or store anti-theft safety..
Do you Know Why you Should not Let your Kid Lean on an Escalator Handrail?